Home > Core Values > Why Shop Local? We all know it is important to support small local businesses. But why? America was built on the backs of small businesses. For centuries, local economies boomed because of the dedication and support of people just like you! Every November Bookmans celebrates Shop Local, Give Local month. This is our chance to say thank you to all the small businesses throughout Arizona. So before you go off and do your holiday shopping at large, corporate retailers, we urge you to choose local instead! Here are five reasons to support local businesses! Ever wondered what happens to your money after you spend it? Money spent locally stays in the community! Money spent at an independent business, even one dollar, contributes three times more money into the local economy compared to money spent at a nationwide chain! Investing in the local economy actually saves the environment! Buying produce and other merchandise from local stores means the product hasn’t traveled many miles, creating less pollution from fossil fuels. This also gives the community a unique vibe that feels like home. Shop local, save the world! Fun fact! Small local businesses are the leading providers of jobs nationally! Small local businesses drastically decrease the percentage of unemployment within the community. Employers of small businesses are also more likely to pay above minimum wage! When you are a small local business, every single customer matters! Employees are likely to go above and beyond to help customers because they actually care about the product they are selling. Small businesses will focus on the needs of the consumer instead of the consumer’s wallet! Who doesn’t like being treated like a human being? Many independent business owners will give back to their community by donating to schools, community events, and other local causes. Another way Local businesses support the community is turning to other local businesses when they need supplies like ink or paper! The most important thing for a small local business is keeping money within their community. How can you support local businesses? There are many ways to keep your shopping local! Turning to local farmers markets when buying produce, attending community events, visiting local retail shops, and most of all buying used! Bookmans is proud to be a local business! We rely on customers like you every day, bringing in the merchandise that fills our stores! Curious about what we take a look at every day? 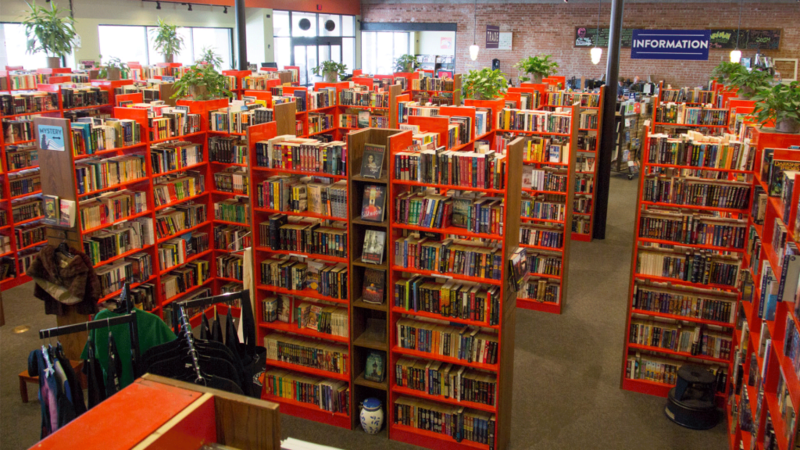 Check out this article on What We Want To Buy or give us a call at a Bookmans near you.